Wondering how your career will take shape with us? We work with leading industry experts to help us accelerate clinical expertise in certain key areas. Our Centre of Excellence branches are equipped with the latest technology such as OCT, Optomap, video slit lamps and topographers. We actively encourage you to develop new specialisms in areas like dry eye, macular degeneration, glaucoma, specialist contact lenses, myopia control and orthokeratology. Maybe you are a highly skilled practitioner and have a hankering to qualify as an independent prescriber? Or maybe you have specialisms that you wish to learn or share? Either way, we’d love to consider these as part of your, and our, clinical improvement strategy in new Centres of Excellence across the business. Masterminds welcome. If you have a wealth of clinical experience, you may wish to consider working with us but also a local eye hospital. We encourage any form of professional engagement with local hospitals and LOC committees. If you are looking for support with accreditation for participation in community eye care services, such as MECS or PEARS, we have plenty of experience and will actively support you. Had a great mentor shape your career? Or just always wanted to share your skills and expertise with others? By becoming a certified trainer in the Leightons Learning Academy, you’ll be stretching your own skills, while helping others to develop theirs. Here, you will move beyond purely clinical into leadership, communication, sales through service and teambuilding. Or, become a pre-reg supervisor and be a much-valued mentor, sharing your valuable experiences with a new optometrist at the critical period of their early career. For some of our Optometrists, it’s their most satisfying career move yet. Ready to step up in your career? Then you could join a branch leadership team as a Senior Optometrist. As an optometrist and leader in the business you will help direct and the shape clinical standards and customer experience. 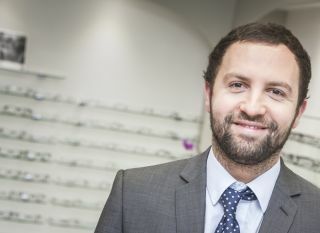 Work alongside our qualified Dispensing Optician Managers (yes, at Leightons we like our managers to be FBDO qualified – unusual in today’s world) and take extra responsibility for the entire team and the commercial aspect of the business. Being a Senior Optometrist does also mean you are more involved in the business, and you will be asked to attend occasional business growth meetings. It can be seen as the perfect stepping stone to running your own business. Find out more about shared ownership and franchising at Leightons. Ready to take the reins? If you have the hunger to run your own business, talk to us about running a franchise or setting up a shared ownership venture (where we share the risks and reap the rewards). The rewards are high if you have the tenacity to work towards them. Our Professional Services Team brings together optometrists, contact lens opticians and audiologists to expand our clinical offering and improve our standards across the business. Being part of the Professional Services Team can take on various guises. It might see you heading up a specific clinical niche in one of our Centres of Excellence, or out-and-about across the network supporting fellow optometrists in various ways, including the interpretation of OCT, or setting up an orthokeratology clinic. If you are interested, you can get involved as there are always opportunities to be part of Clinical Pilots and Peer reviews. Want to use your skills to make good things happen? More and more of our optometrists are helping selected charities, their own communities or working as part of Leightons Foundation. We are also interested in sponsoring any optometrist in voluntary work overseas. If you want to be part of a bigger picture, get in touch to find out more.